The information related to The Hilton Honors American Express Business Card has been collected by CompareCards and has not been reviewed or provided by the issuer of this card prior to publication. Business owners who hit the road regularly and are loyal to a hotel brand could enjoy upgraded perks having that chain’s credit card. If your company belongs to or is considering joining the Hilton Honors program, then having The Hilton Honors American Express Business Card — with a $95 annual fee — could provide some benefits for road-weary travelers. Hilton has 14 brands that fit into any company’s travel budget, such as the luxurious Waldorf Astoria, the upscale Embassy Suites and the budget Hampton Inn. It covers more than 5,000 hotels in 100 countries and territories. If The Hilton Honors American Express Business Card will be the main card you use for employees, you’ll boost the ability to earn and redeem more points in categories such as restaurants, supermarkets and gas stations. Plus, the card comes with perks that can help keep employees productive when they work and travel. But if your business requires more flexibility when it comes to hotel stays and needs a card that offers more value for points earned on travel, then the Ink Business Cash℠ Credit Card might be a better fit. Strong welcome offer. Cardmembers earn 125,000 Hilton Honors Bonus Points with the Hilton Honors American Express Business Card after you spend $3,000 in eligible purchases in the first 3 months of Card Membership. Use those points for a warm weekend stay at the Hilton Scottsdale Resort & Villas in Arizona March 8-10, 2019. Higher rewards in top categories. Earn 12X at hotels and resorts in the Hilton portfolio, 6X on Select Business & Travel Purchases, 3X Everywhere Else. Terms & Limitations Apply. Earn top points in categories important to businesses, such as Hilton hotels, gas stations, wireless telephone services, shipping, dining, flights and rental cars. Points for everything else are higher than many other business credit cards. Business support. The Hilton Honors American Express Business Card comes with tools to help you manage your business including employee cards, a designated account manager, a Spend ManagerSM feature that allows you to add receipts and notes to transactions via desktop or a mobile device, a connection to QuickBooks®, account alerts, a year-end summary and online statements. Redemption variety. Hilton Honors points can be redeemed for hotels, car rentals, cruises, shopping, dining, gift cards and charitable donations. Or spend those points on a VIP experience, such as the 2019 Rose Bowl in Pasadena, Calif., on Jan. 1, including two game tickets, fast pass entry into the stadium, a tailgate lunch and live entertainment. Transfer your points. Hilton Honors points earned on the card can be transferred to more than 40 airline and rail partners. Go for the gold (status). The Hilton Honors American Express Business Card comes with automatic gold status. That gives you perks including 80% tier bonus points per hotel stay, an automatic space-available room upgrade (up to an executive room), a guaranteed member discount, no resort fees on reward stays, early check-in and late checkout, fifth standard reward night free, free breakfast and two complimentary bottles of water daily. Earn Hilton Honors Diamond status after spending $40,000 on the card in a calendar year. That status comes with a 100% tier bonus points per hotel stay, premium in-room and lobby Wi-Fi, an automatic space-available room upgrade (up to 1-bedroom suite), executive lounge access, a guaranteed member discount, 48-hour room guarantee, no resort fees on reward stays, early check-in and late checkout, fifth standard reward night free, free breakfast and two free bottles of water daily. Plenty of perks. The card comes with 10 free Priority Pass airport lounge passes a year, baggage insurance, travel accident insurance, car rental loss and damage insurance, roadside assistance, access to the Global Assist hotline, extended warranty and purchase protection. Free nights. Earn a free weekend night from Hilton Honors after spending $15,000 on the card in a calendar year. A second weekend night can be yours after spending $60,000 in a calendar year. Card fee. The card comes with a $95 annual fee. That free room costs. It’s nice to earn up to two free nights a year — but you have to spend $75,000 on the card in a calendar year to get them. The rooms are standard and can only be booked on weekends. Fewer travel transfer points. While you can transfer your Hilton Honors points to more than 40 airline and rail partners, you’ll get less value for them. So you’re better off using them for other things, including hotel stays. Higher status costs. Gold Hilton Honors status is a nice benefit. But a move up to diamond status requires you to spend $40,000 annually on the card. If you don’t want to tie your business to Hilton Honors and have more options to redeem rewards, then the Ink Business Preferred℠ Credit Card could be a good alternative to The Hilton Honors American Express Business Card. New cardmembers can Earn 80,000 bonus points after you spend $5,000 on purchases in the first 3 months from account opening. After meeting the spending required to get the sign-up bonus, you’ll have $1,000 to spend in the Chase Ultimate Rewards® portal. It’s not as generous as the bonus offered by The Hilton Honors American Express Business Card, but you’ll spend less to earn them. Earn 3 points per $1 on the first $150,000 spent in combined purchases on travel, shipping purchases, Internet, cable and phone services, advertising purchases made with social media sites and search engines each account anniversary year. Earn 1 point per $1 on all other purchases—with no limit to the amount you can earn. While this card does offer higher points in the categories that are important to businesses, they’re not as high as what’s offered by The Hilton Honors American Express Business Card. But a big benefit the Ink Business Preferred℠ Credit Card has that The Hilton Honors American Express Business Card doesn’t is the chance to earn 25% more value for your points when you redeem them for travel through the Chase Ultimate Rewards® website. You can also redeem points for cash, gift cards, products or services and at Amazon.com. The Ink Business Preferred℠ Credit Card allows you to transfer your points 1:1 to nine airline and four hotel loyalty programs. That’s not as many partners as The Hilton Honors American Express Business Card. 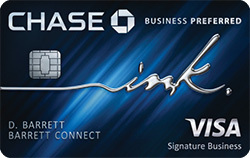 Like The Hilton Honors American Express Business Card, the Ink Business Preferred℠ Credit Card allows you to issue cards to employees, earn points under their accounts and set spending limits on each card. And the Ink Business Preferred℠ Credit Card comes with great business perks, such as trip cancellation/trip interruption insurance, roadside dispatch, auto rental collision damage waiver, cellphone protection, purchase protection and extended warranty protection. Plus, there’s the chance to earn 20,000 bonus points a year each time you refer up to five business owners and they get the Ink Business Preferred℠ Credit Card. But the higher points earned for travel, shipping purchases, Internet, cable and phone services, advertising on social media sites and search engines are capped at $150,000 a year. After that, you’ll only earn the lowest points per dollar spent. Check out our review of the Ink Business Preferred℠ Credit Card. Rewards 12X at hotels and resorts in the Hilton portfolio, 6X on Select Business & Travel Purchases, 3X Everywhere Else. Terms & Limitations Apply. Earn 3 points per $1 on the first $150,000 spent in combined purchases on travel, shipping purchases, Internet, cable and phone services, advertising purchases made with social media sites and search engines each account anniversary year. Earn 1 point per $1 on all other purchases—with no limit to the amount you can earn. 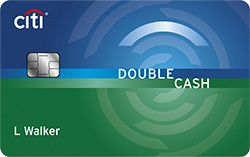 Both cards offer good rewards and strong perks helpful to businesses. If you or your employees frequent Hilton hotels regularly and you want to earn top points and more perks for those hotel stays, travel, dining and company supplies, The Hilton Honors American Express Business Card may best for you. But if you don’t want to be tied to Hilton-branded hotels, receive points for spending on business-related expenses and get 25% more value for your points when booking travel at Chase Ultimate Rewards, then the Ink Business Preferred℠ Credit Card may be a better alternative. 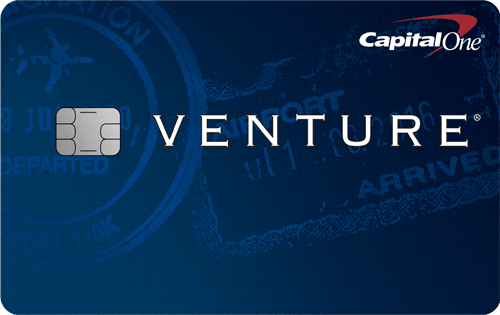 Check out our roundup of the best business credit cards.